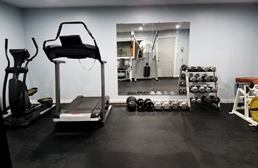 Turn your garage into the perfect personal training studio. 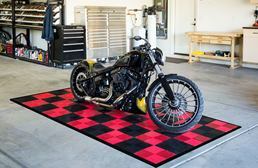 Garages today are more than just places to park you car. 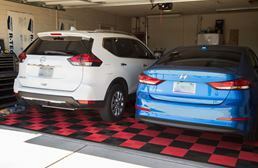 From workshops to workout spaces, garages have become an extra room in the home. 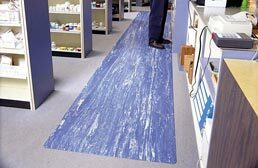 With that being said, finding the right flooring for your space is crucial to make it the perfect personal oasis. 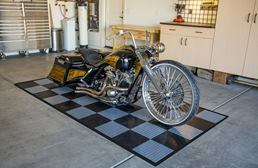 For people who like to work on their cars, we offer our garage matting that is stain resistant and easy to clean and maintain. 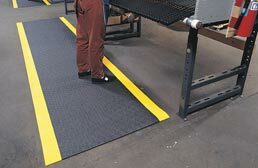 These mats come in several sizes, colors, and styles and can be easily removed for any reason. 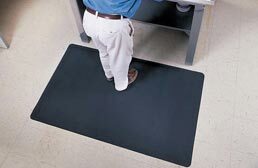 If your space is more for doing projects where standing is a must, then our anti-fatigue mats will be a god send. 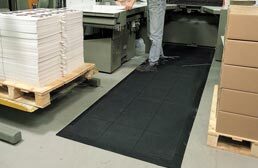 These mats are resistant to staining and will provide you with comfort under foot. 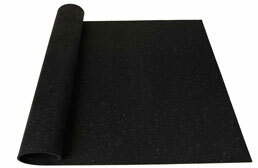 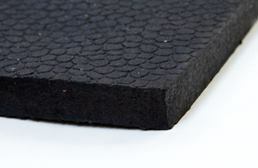 If you like to workout, then our rubber mats are the product for you. 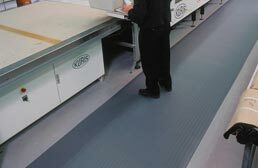 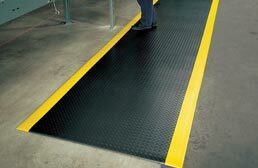 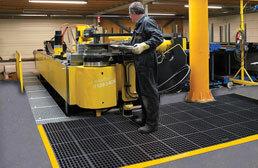 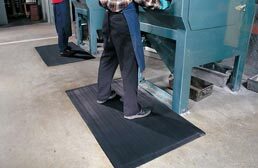 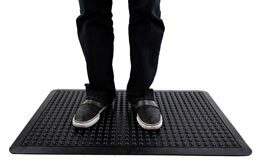 These mats provide ample shock absorption and are easy to install, clean, and maintain. 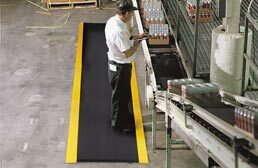 We offer a wide range of sizes, thicknesses, and colors that are certain to help you maintain your fitness goals. 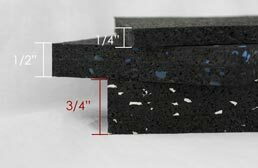 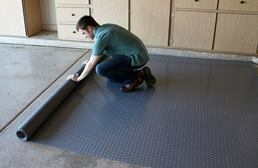 There are many quality coverings for garage floors, but one of the easiest and most durable are garage mats. 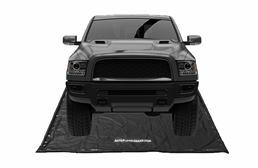 These floor mats can be used under cars, motorcycles and trucks and are very easy to install and maintain. 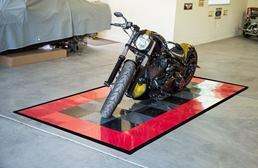 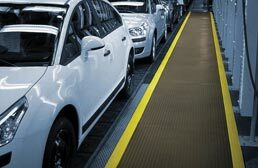 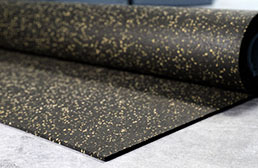 These mats come in a variety of colors and styles and are sure to accent any garage flooring color or theme. 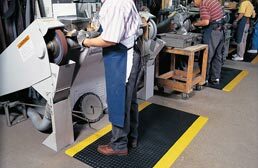 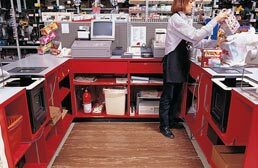 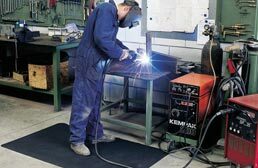 Anti-fatigue mats are also a great addition to any garage workshop, office, or kitchen providing comfort, durability and aesthetic appeal. 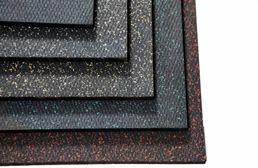 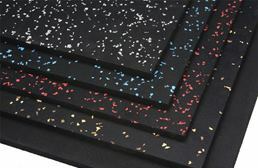 Our mats feature a foam core surrounded by polyvinyl helping to create a long lasting, comfortable mat. 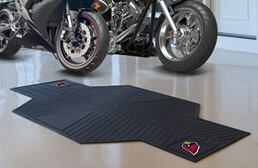 All of our garage mats are resistant to most chemicals and solvents and feature a 5 year warranty.